Cloud based accountancy and business software has revolutionised the way we work. Experience the benefits and stay ahead of the game. “The Cloud” is the user-friendly term for the location of software that is accessed online. Unlike traditional computer programs that you buy and save on your own hard drive, cloud programs are accessed through your internet browser (or via an application on your mobile device) and save data onto a remote database (called a server). For your business this means new ways to save time and money every day. What Cloud Software Does Engine Room Implement? Engine Room’s focus is the cloud accounting software Xero and its marketplace of add-on software platforms. Our team’s experience and long-running partnerships with cloud based platforms such as Xero have solidified our expert knowledge and ability to assess and advise on the right software solutions for your business. At Engine Room we aim to streamline your business and help you get the most out of your new financial knowledge. Better reporting enables you to make sound business decisions and understand where funds can be released from your business. Regular financial reporting enables you to be prepared for the future, whether it be increased stock levels, declining sales trends, increasing costs, or tax planning. Your advisors can look at and advise on your information in real time – there is no double handling of data, and changes made by your accountant are instantly adjusted in the information you see. Both you and your advisors can be more proactive and future focused. Implementing the right system can bring long term cost savings, for example running a paperless environment can bring significant savings in printing and stationery, filing, postage and time. Cloud based systems are usually infinitely expandable at a lower hardware cost and grow with the business, rather than large upfront investments. For business owners, cloud based software provides flexible solutions so you can manage your business far easier than with traditional desktop software. Cloud software takes the hassle out of routine activities — making business faster and easier. There are software solutions for easier accounting, inventory management, managing mobile employees, getting paid on time and many more. 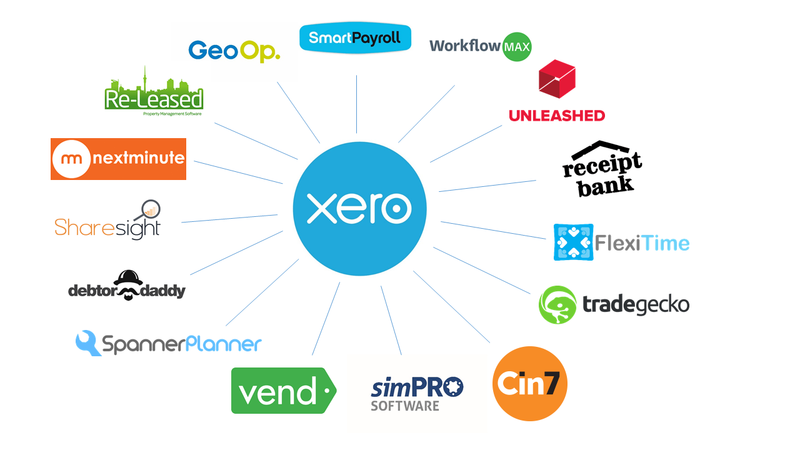 It all starts with Xero, beautiful accounting software. Xero is an easy-to-use, yet powerful accounting system designed specifically for small and medium businesses. It gives you and your accountant access to your financial information in real time, not retrospectively. That means you can make smarter financial decisions based on up-to-date information and take more control over your business. Arrange a chat to talk to one of our team, we can build a frame to suit your business needs. Because no business is alike, we don’t think our service packages should be either. Let our experts help you take your business to where you want it to be!